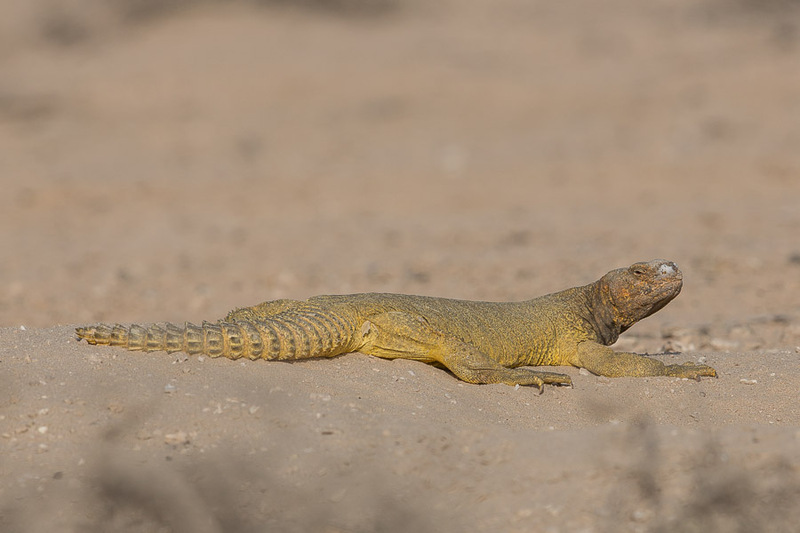 The scrubby desert area has been very good for sightings of Arabian Spiny-tailed Lizard this year. Normally I have only found a couple of active burrows of the animals, but this year I know where seven active sites are in the area. 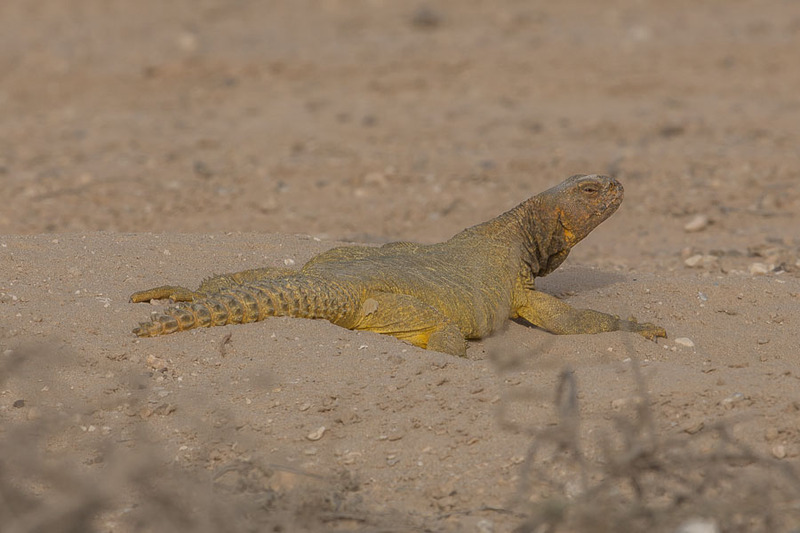 At least one of these has a very large lizard and it can be seen most evenings basking in the warm sun. 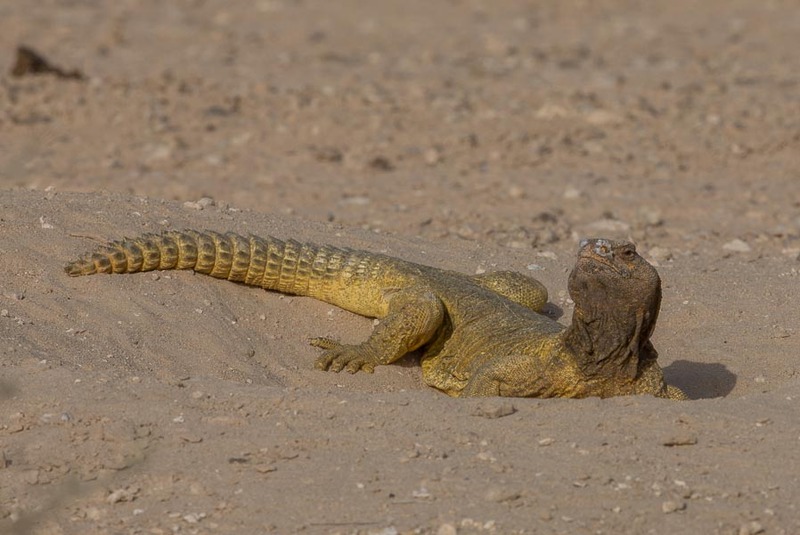 The temperatures are still in the high 30’s °C or even low 40’s °C even at 16:30 hrs so the lizards like laying around at their burrow entrances during this period. 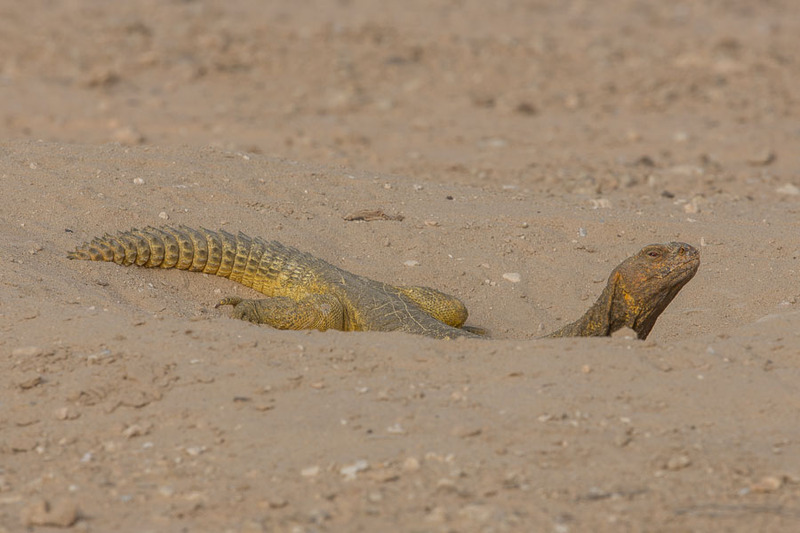 They are shy if you are out walking as they take the shape of a human as danger, but if you are in he car they often allow very close approach. 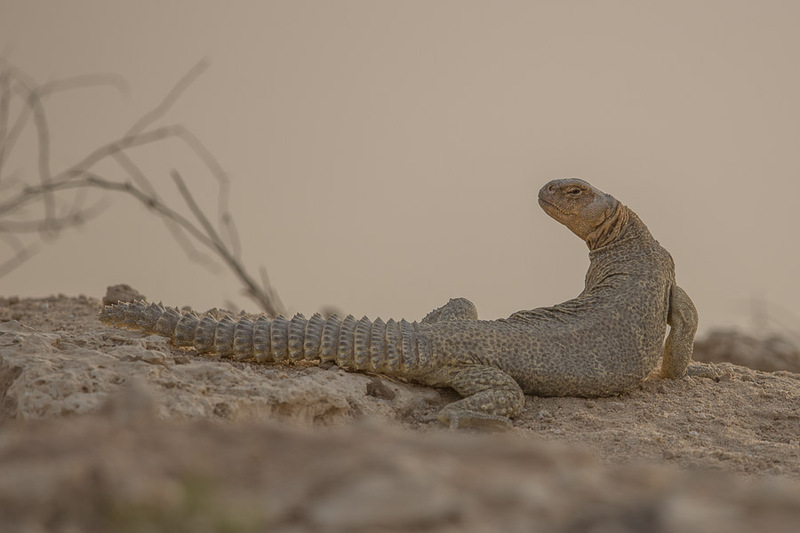 Out of the seven sites where the lizards are currently seen, one has been used for the three seasons I have been in Dhahran. 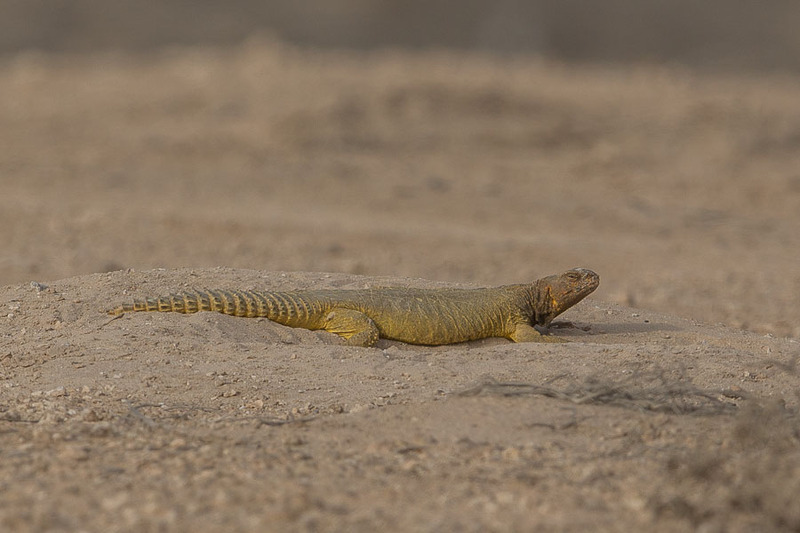 Two different lizards are shown in the photographs below.